The Cathedral Church of the Intercessor is live each Sunday on Facebook. 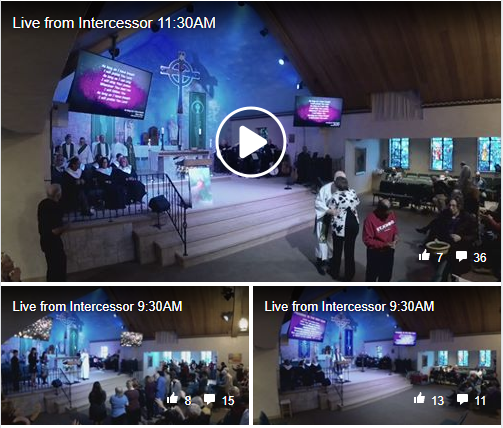 The Intercessors Facebook page now lives streams the complete 9:30 and 11:30 Services each Sunday. Take a look at https://www.facebook.com/churchoftheintercessor/ to see them live each Sunday or view past services.